New real estate agents are often warned that the holiday season is a dead time for their profession. Our reply to this prevailing theory: Bah humbug! The holidays may not bring the amount of sales you might average the rest of the year, but they are far from a dead period for new real estate agents. This is a perfect time to promote yourself against the backdrop of the joyous season. The things you do now can pay dividends throughout the year. And besides being fun, your efforts can also make a real contribution to the community. Everyone loves a parade! During the holidays, entering a parade is a great way for you, staff, and fellow agents to do something fun while putting your name and face out in the community. Decorate a vehicle (and, of course, be sure to display your name/your agency’s name prominently so parade-goers know who you are), hand out candy canes to kids (if the parade permits this), and be merry as you wave and interact with people lining the route. Bonus points if you can convince your staff to dress up as elves! Clothing and food drives are nice events for real estate agents during the holidays, but you can take your efforts further by working with local charities. One example of this, provided by a HomeSmart broker, is partnering with organizations working with foster families or family services. Agents “adopt” children to fulfill their wish lists. The giving is anonymous, but organizations often will provide pictures of the kids agents are helping. A pop-by is when, well, you visit someone at their home—you pop by. With a reverse pop-by, you are inviting clients to your office to mingle and take home a present (one suggestion of this present is a whole pie, thus making the event a reverse pop-pie …). This is a great way to reconnect with clients and personally thank them for their business. Within your office—perhaps at your holiday party—you can raise funds for charities or assemble gift baskets to give to families in need. Although this kind of charity is possible all year, people seem more willing to give during the holiday season, especially at a party. Toy and gift drives are worthwhile holiday efforts for new agents, and you can take the concept a step further with a tree drive. Work with a local organization to identify families in need, then host a Christmas tree drive in your lot. This event can include staff and agents. Families come to the lot to pick a tree and take it home. You could even provide lights and ornaments. Also, don’t forget to serve hot chocolate! Similar to pictures with Santa, hire professional photographers and invite clients and their families to your office for a free sitting. Afterward, families take home the digital file to use for Christmas cards or to have prints made for framed presents. Collaborate with another small business to produce and distribute a unique gift to clients. For example, you could send treats from a local bakery, handcrafted ornaments from a gift shop, candles from a specialty shop, and so on. Both your brand and the branding of the small business are displayed with the gift. This not only helps you network, but also supports the community and its businesses. Sending holiday cards is a smart strategy for new real estate agents this time of year. Take the concept one step further by including a lottery ticket. It’s a fun gesture, and if the recipient wins big, you will have an instant motivated buyer needing your help to find a new home! 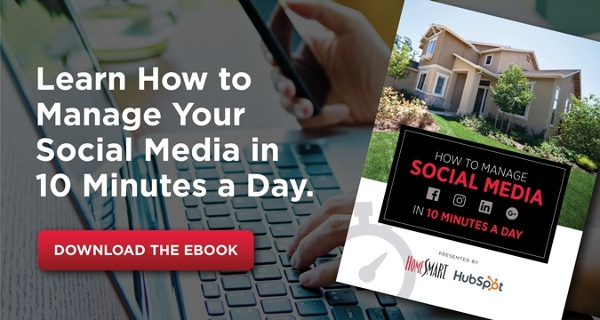 Whether you follow some of these strategies or come up with your own, be sure to share your efforts on social media. Post pictures from the parade or with Santa, announce events, and invite followers to contribute to your charitable causes. And always remember, giving gifts to your clients is nice, but giving your time and energy to the community is perhaps even more valuable—especially to the people you are helping. One final thing: Happy holidays to you and your family! We wish you nothing but the best for the season and for the new year..